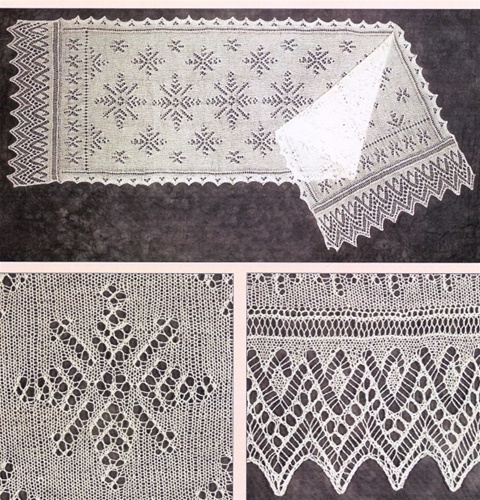 This lovely Snowflake Stole is a paradox--these snowflakes will keep you warm with a drift of snowy and showy lace around your shoulders. The stole is worked by provisionally casting on at one end, then knitting the body to the other end. A lacy edging is knitted sideways to the body and attached to the live stitches at each end. Recommended for Advanced Intermediate lace knitters. 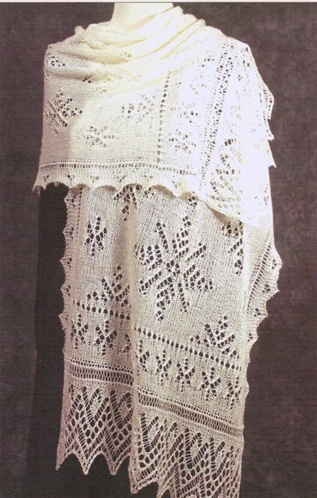 The stole takes about 1290 yards of lace weight yarn.